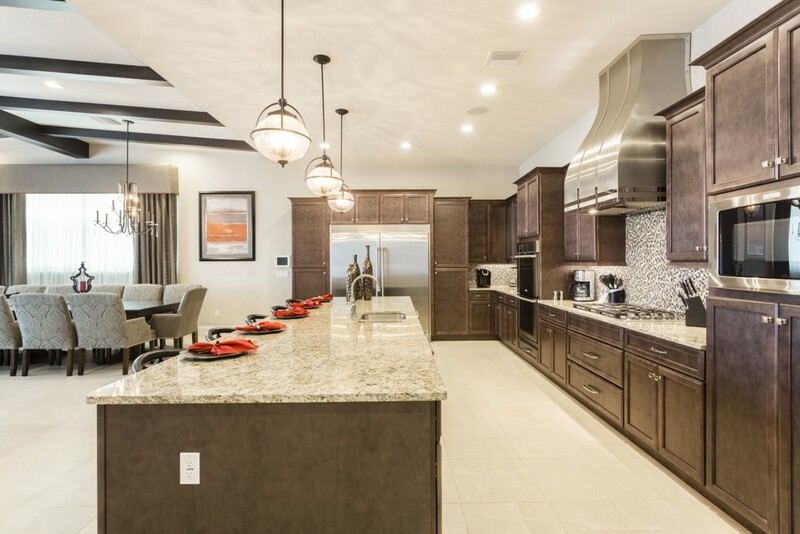 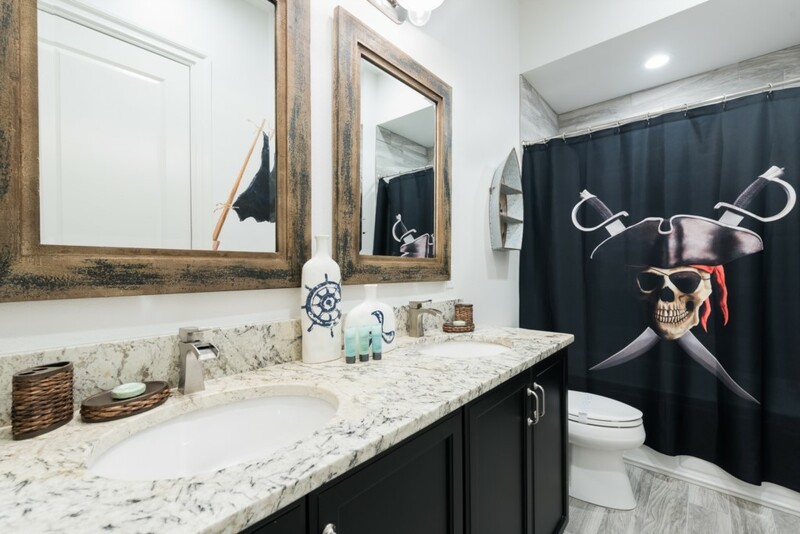 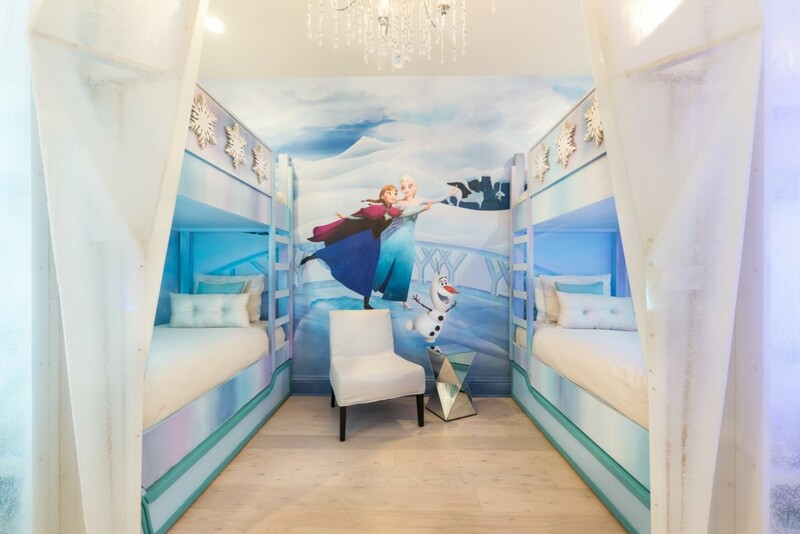 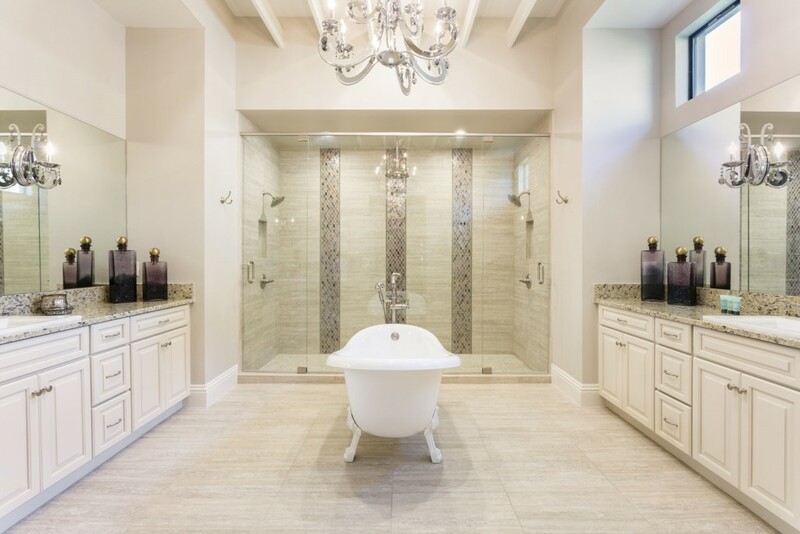 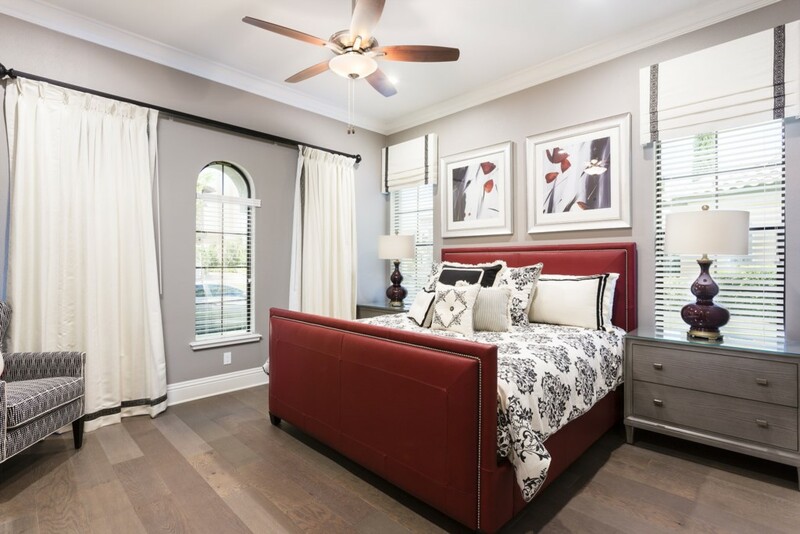 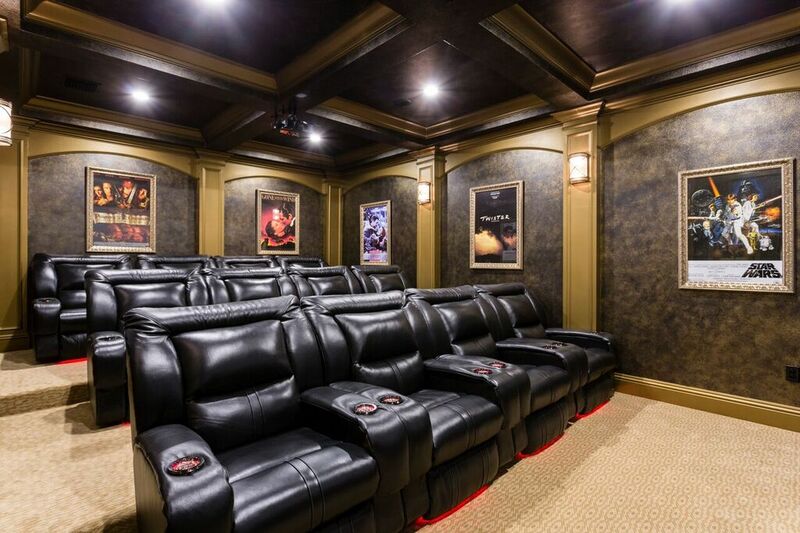 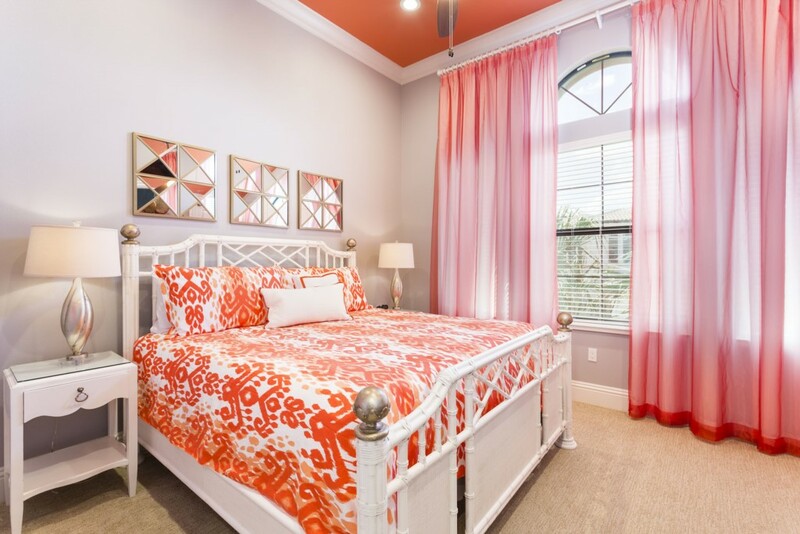 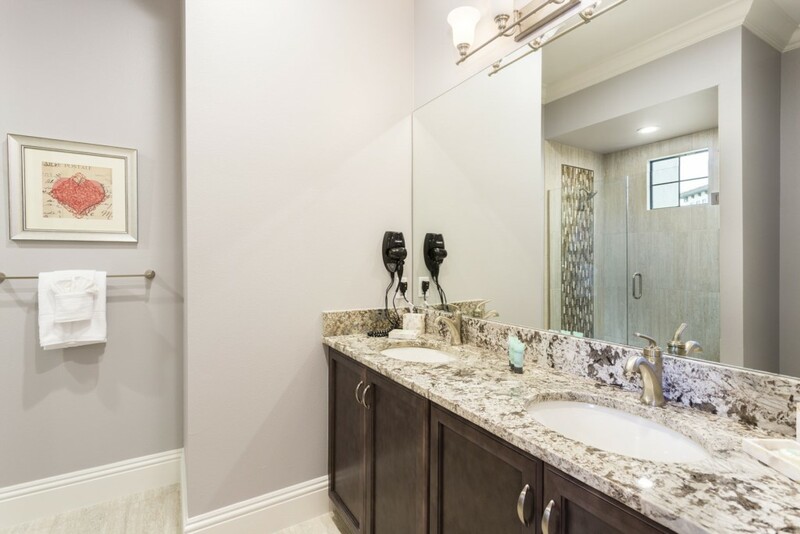 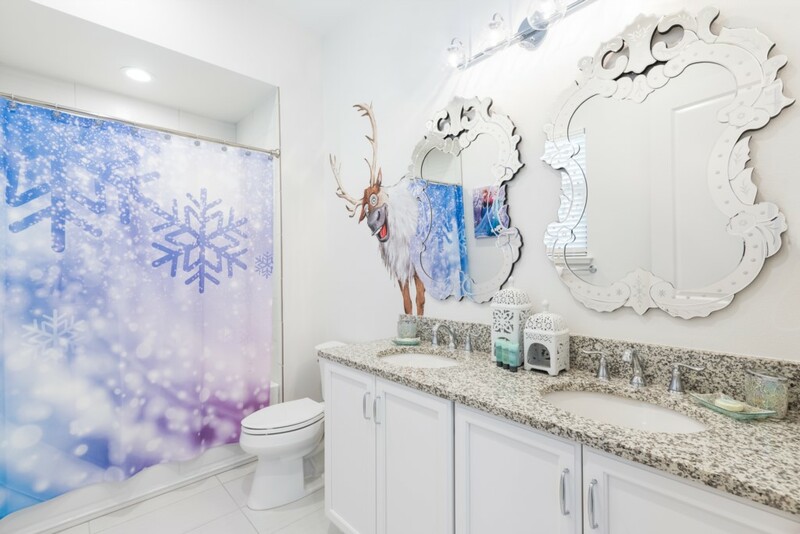 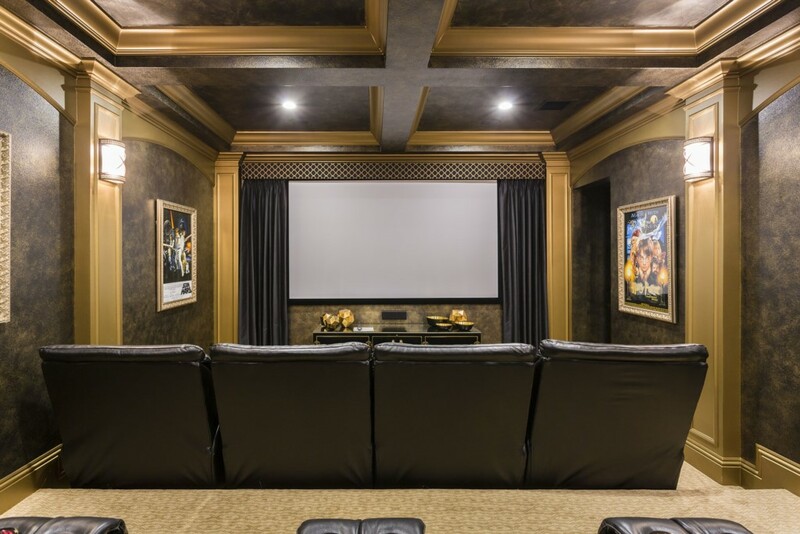 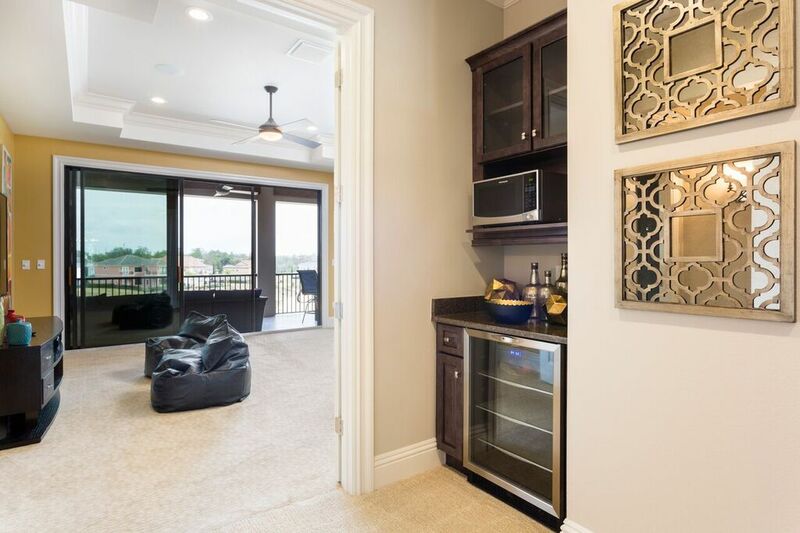 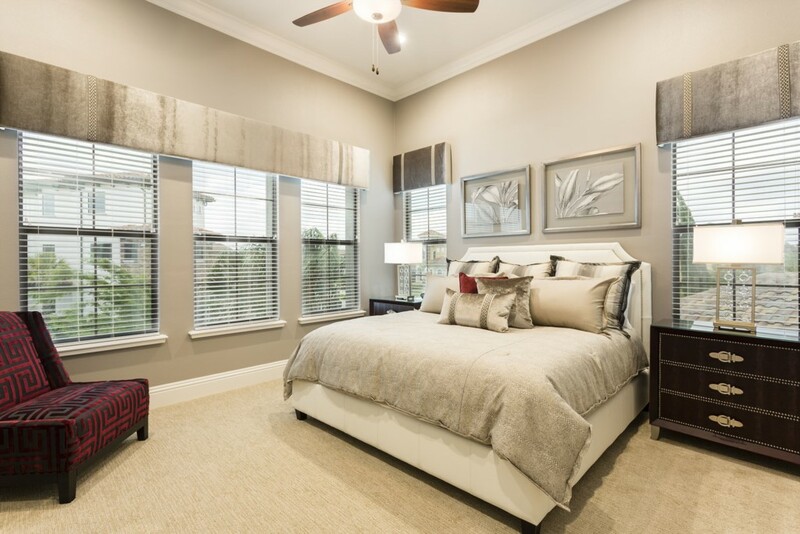 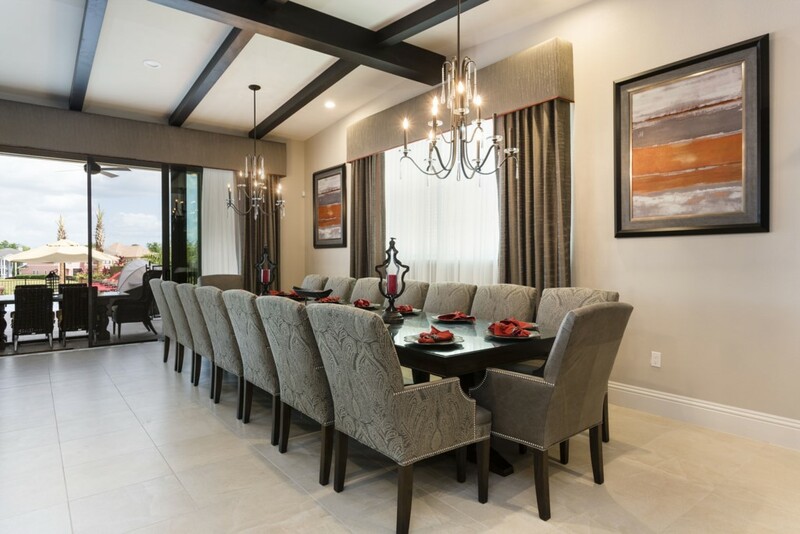 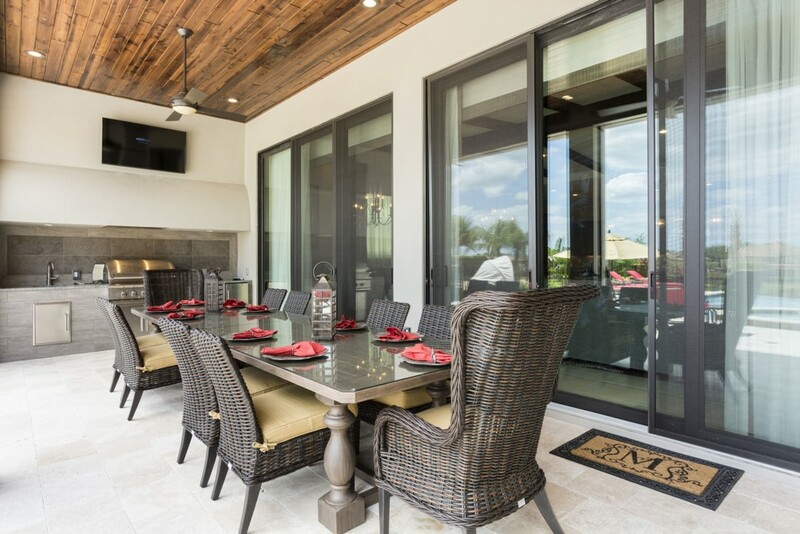 As one of the newest and most luxurious large vacation homes in the Disney Theme Parks area of Orlando, this magnificent 8 Bedroom rental home offers a stylish escape for your entire family and friends to enjoy. 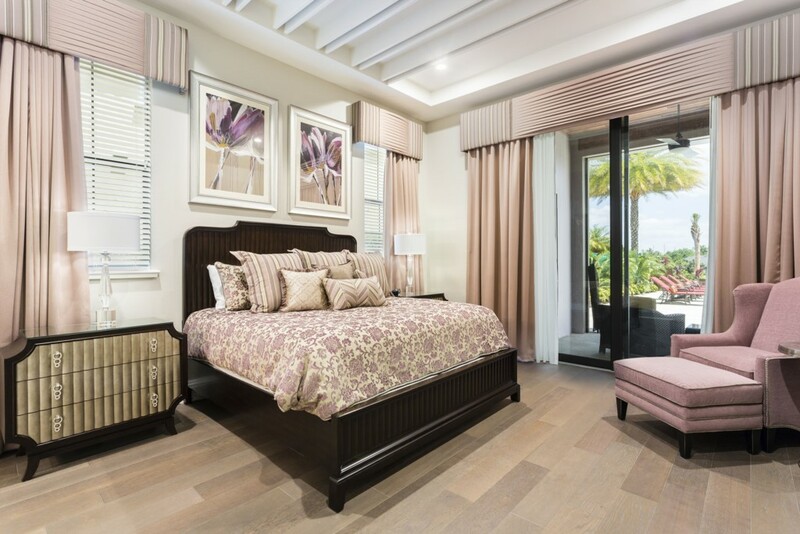 Sumptuous materials have been used throughout the entire property, to create an ambiance that's perfect for a 5 star dream vacation. 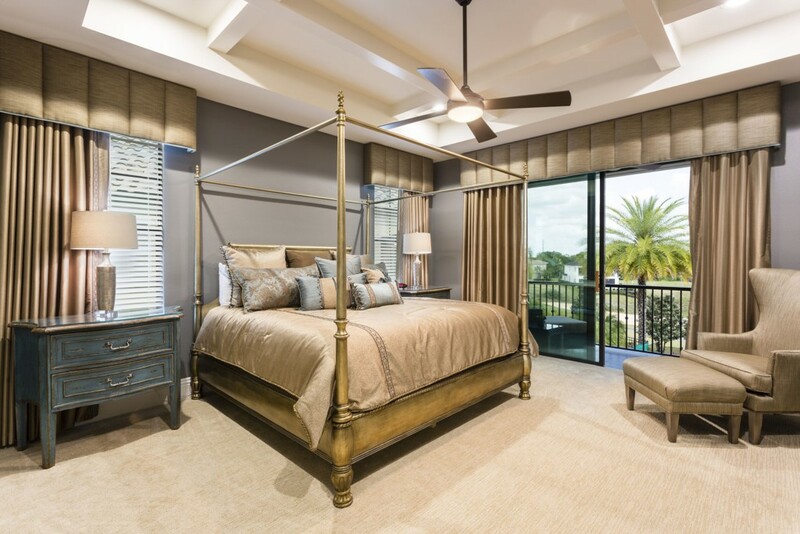 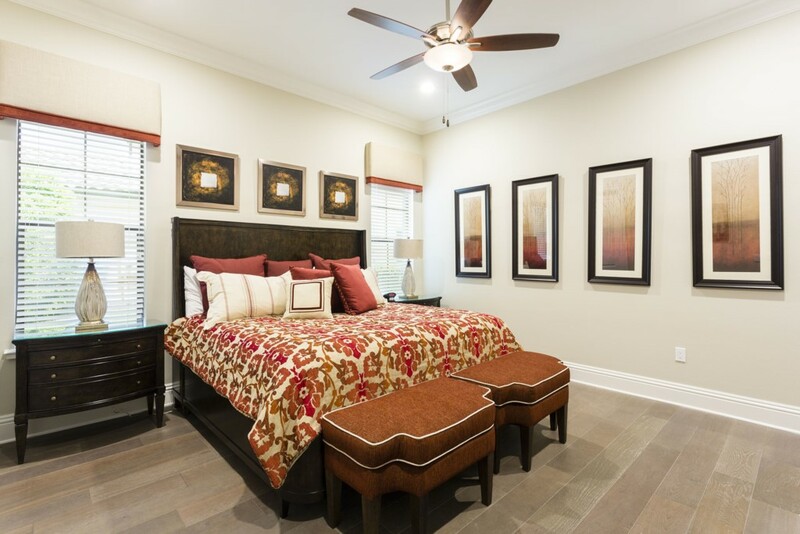 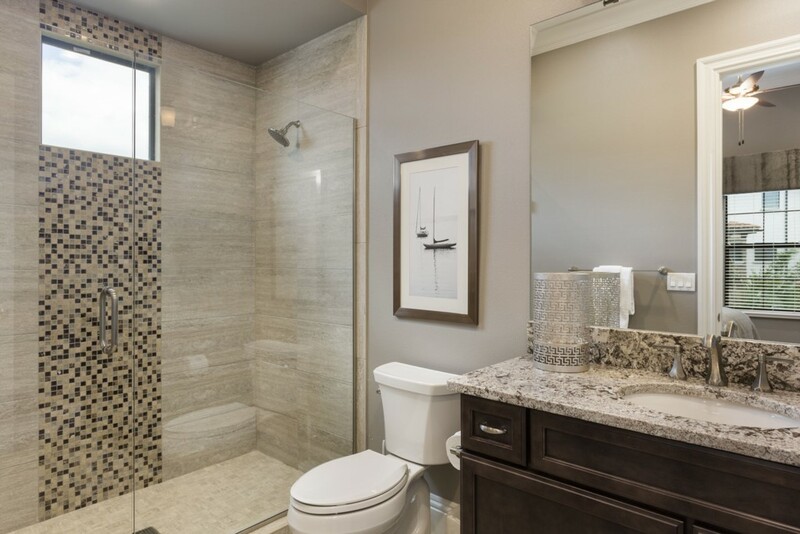 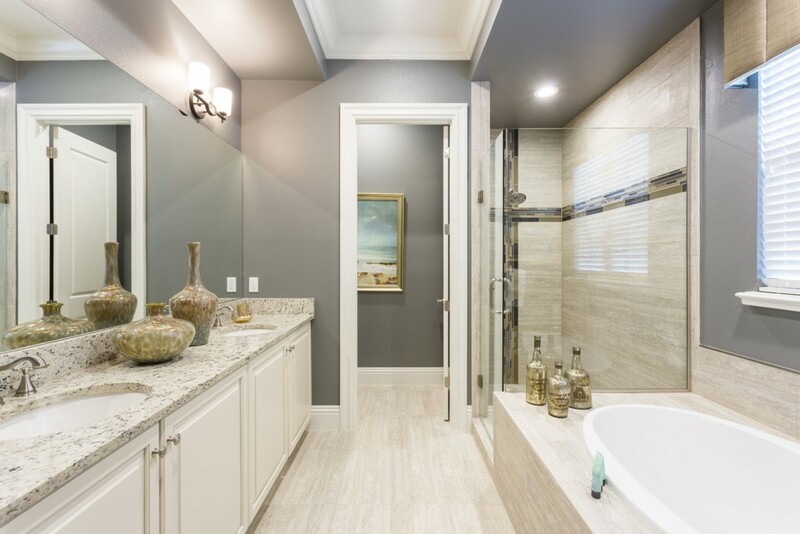 With two floors of master bedrooms, guests preferring not to negotiate stairways are able to enjoy the delightful en suite bedrooms with the greatest of convenience! 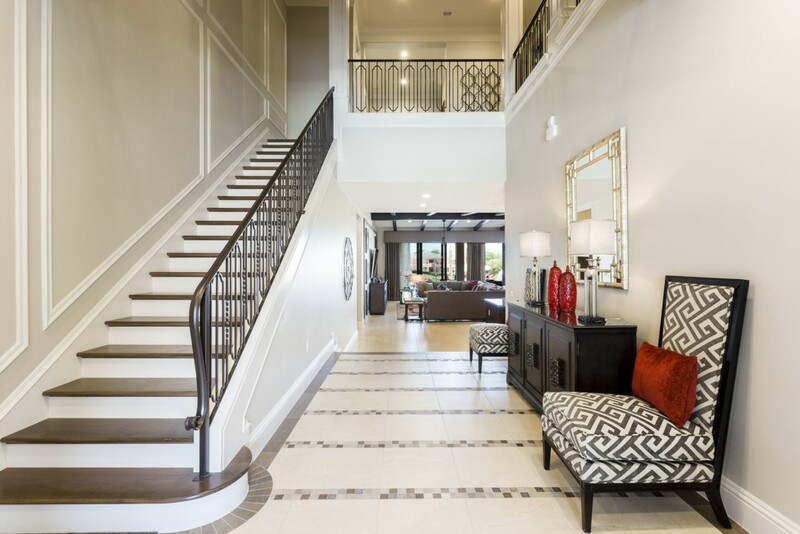 A huge open layout to the ground floor, takes care of the family's general gathering and social time. 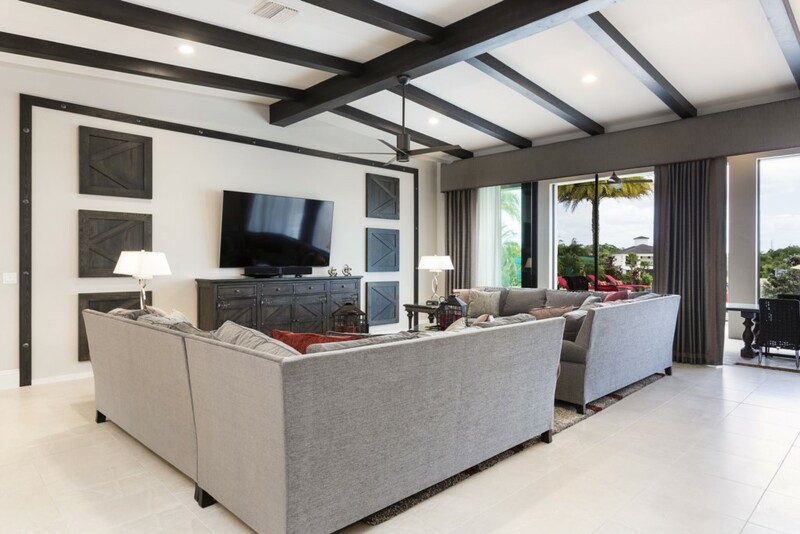 However, this very large VIP home also provides multiple spaces, both indoors and out to provide your guests with the perfect relaxation space. 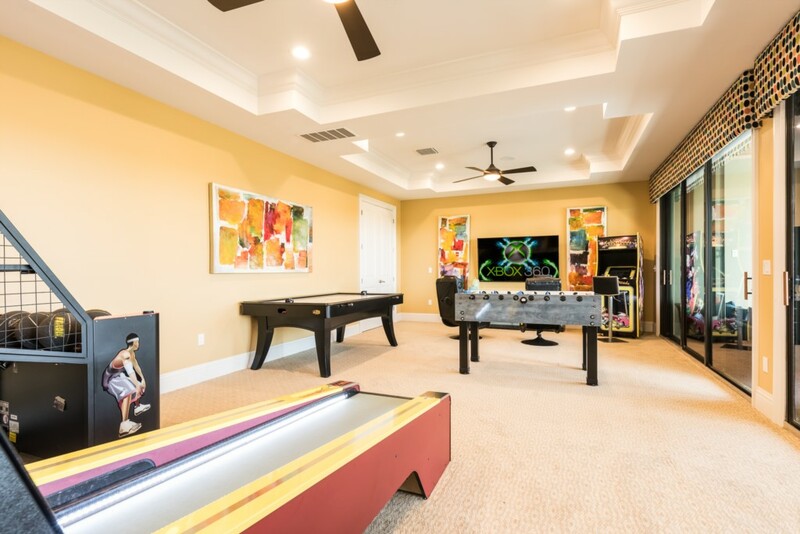 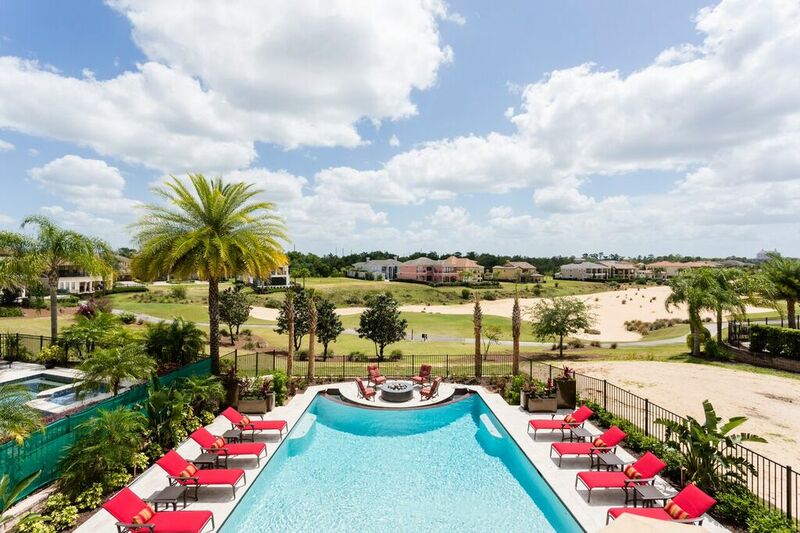 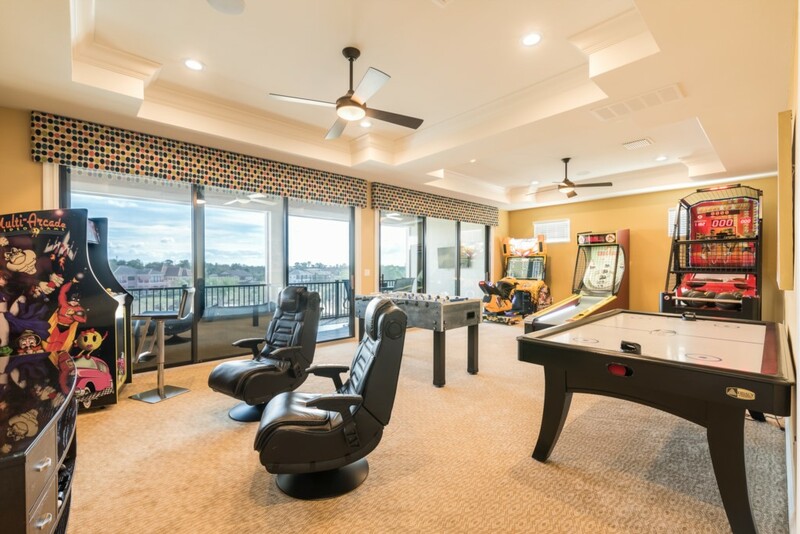 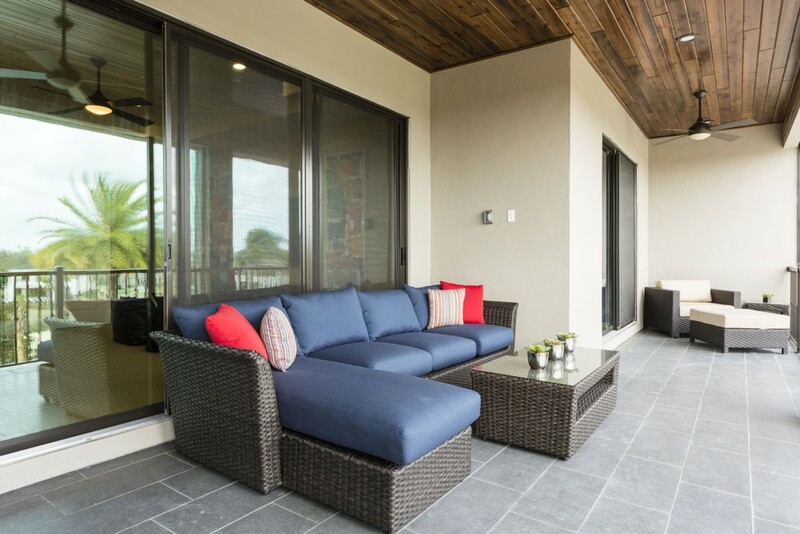 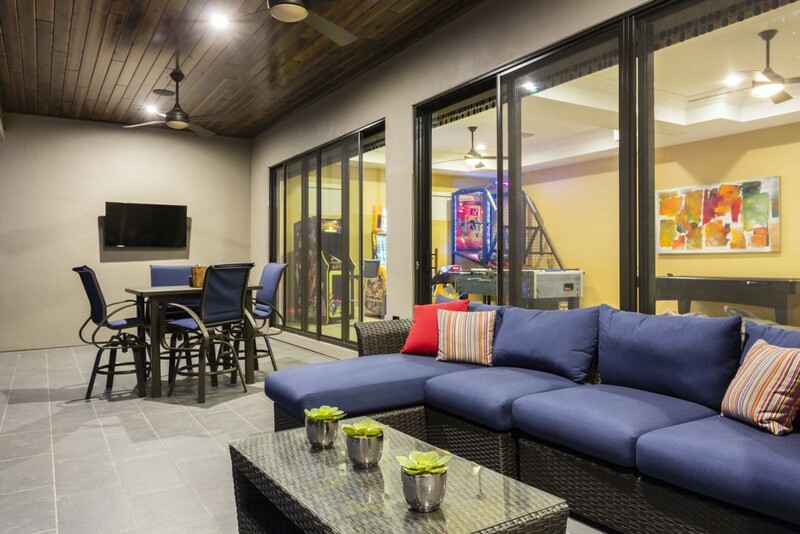 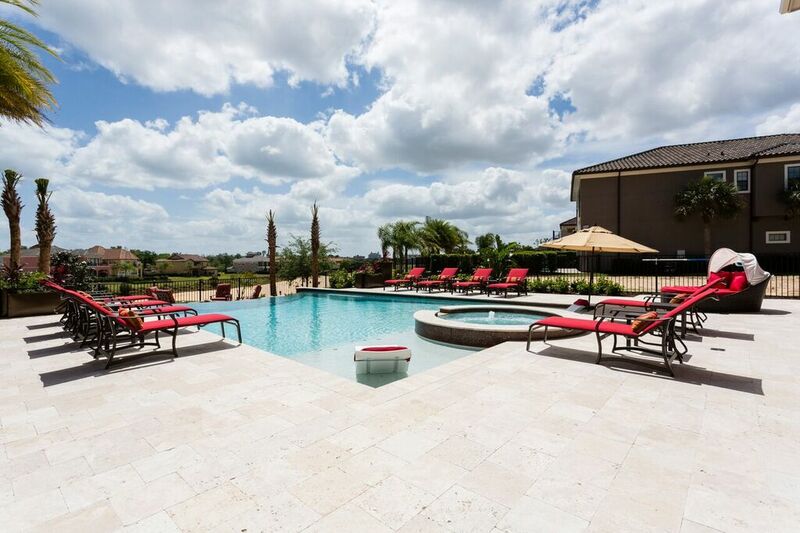 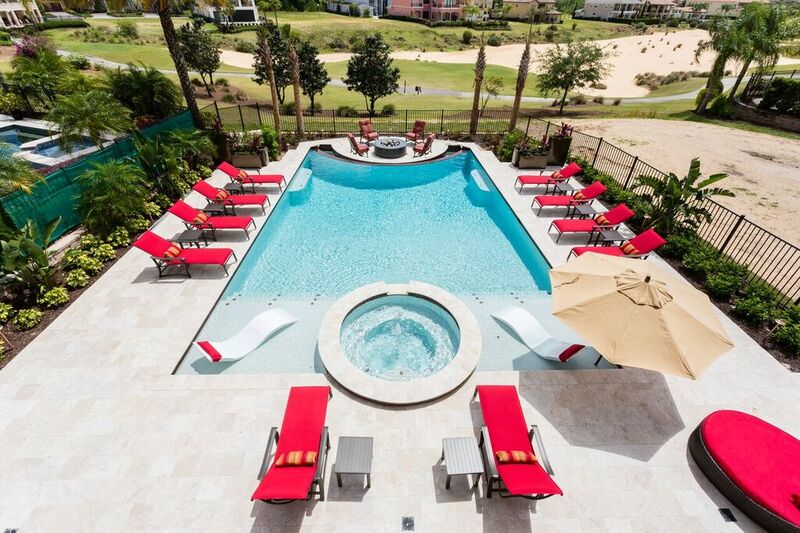 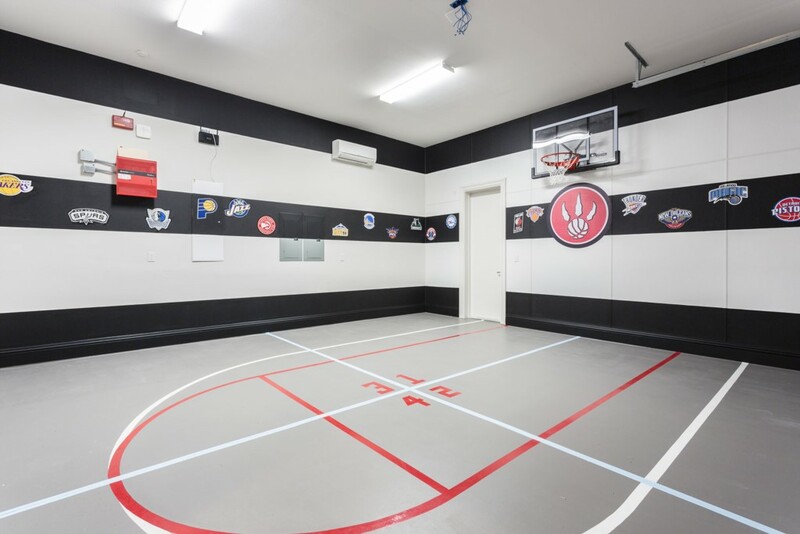 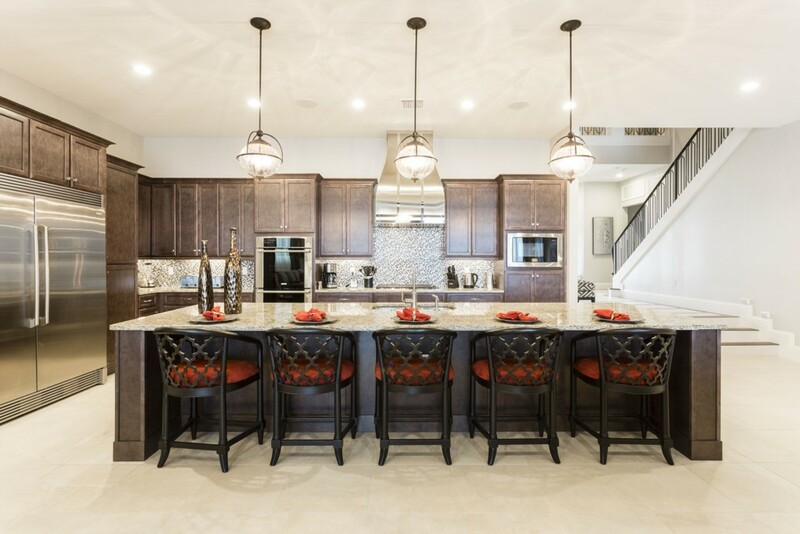 You can choose to relax in two family gathering areas, the pool area with spa, a play room, games area, home theater, and even a basketball practice area. 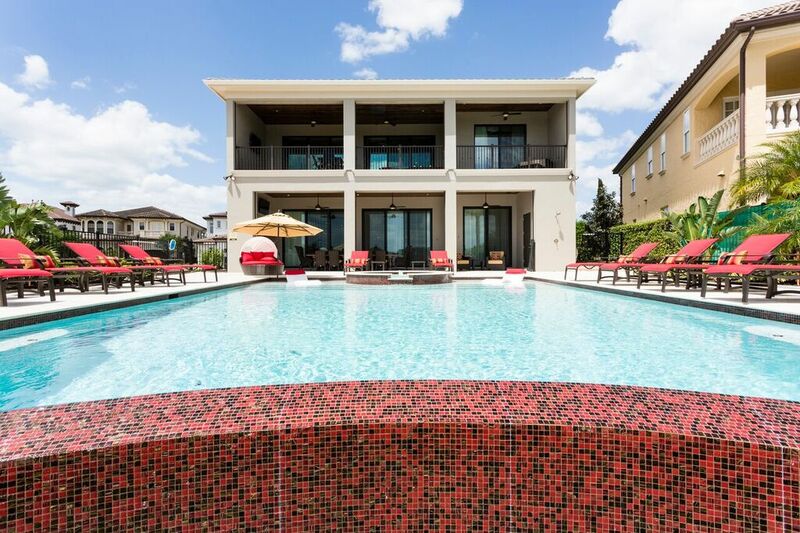 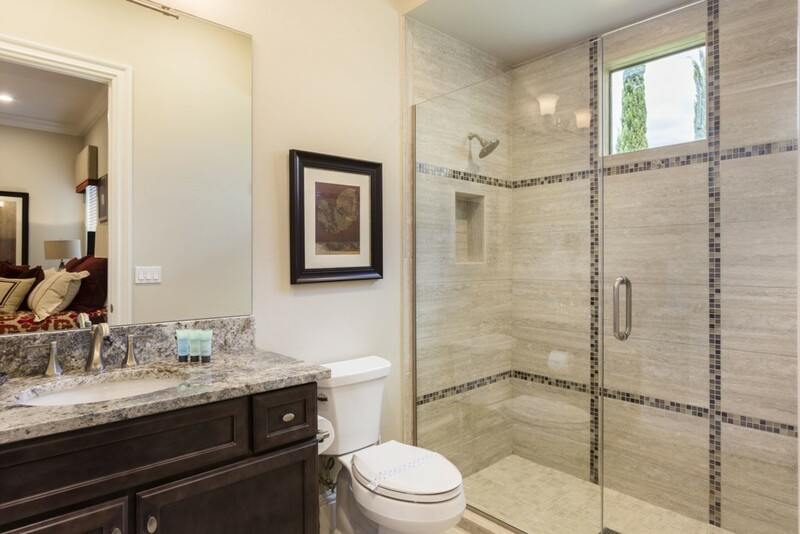 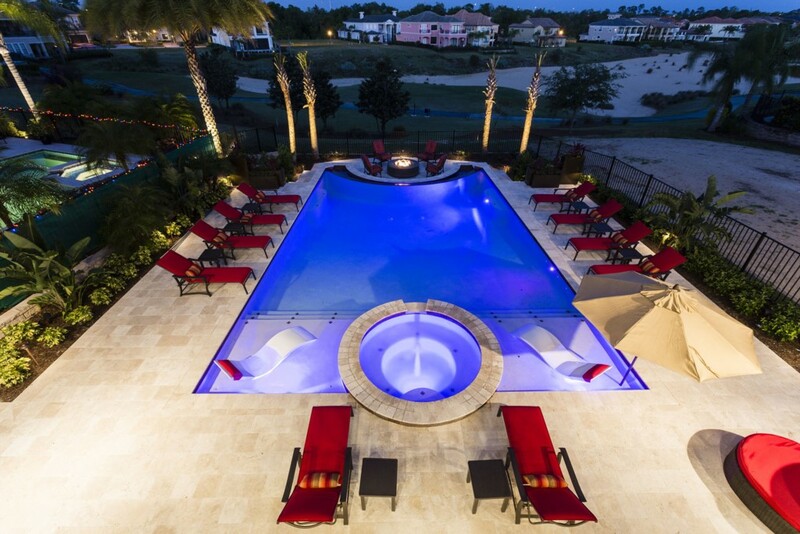 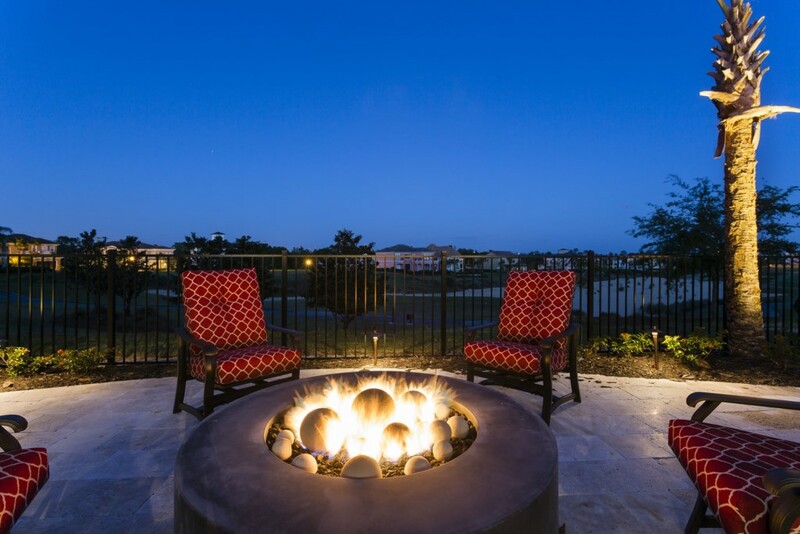 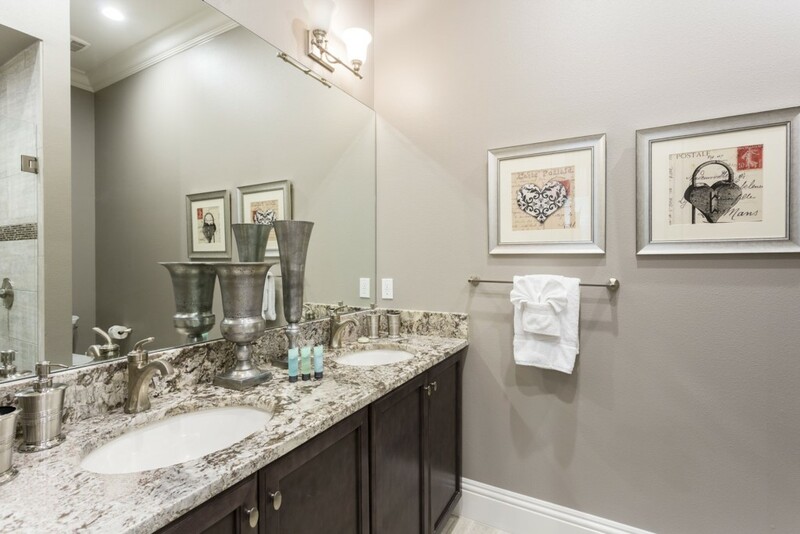 Come and enjoy one of the finest rental homes in Orlando for your next dream vacation! 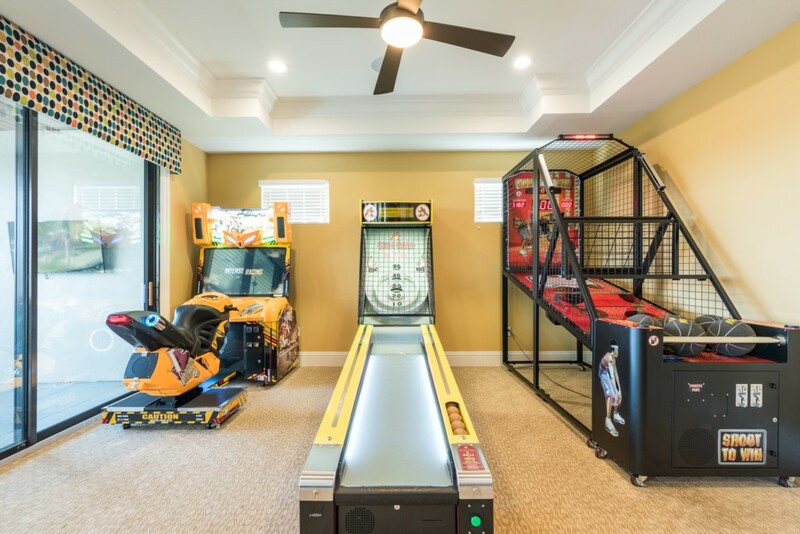 Enjoy your own interactive treasure hunt throughout this entire home to try and find the hidden Mickeys located inside and out of this property! 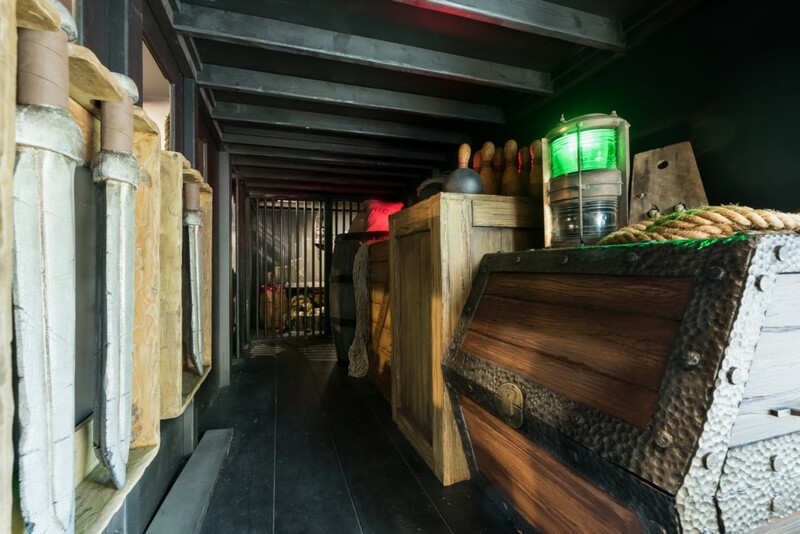 Once all the hidden mickeys are discovered, you can find the hidden treasure in a secret location but only if you can solve the clues! 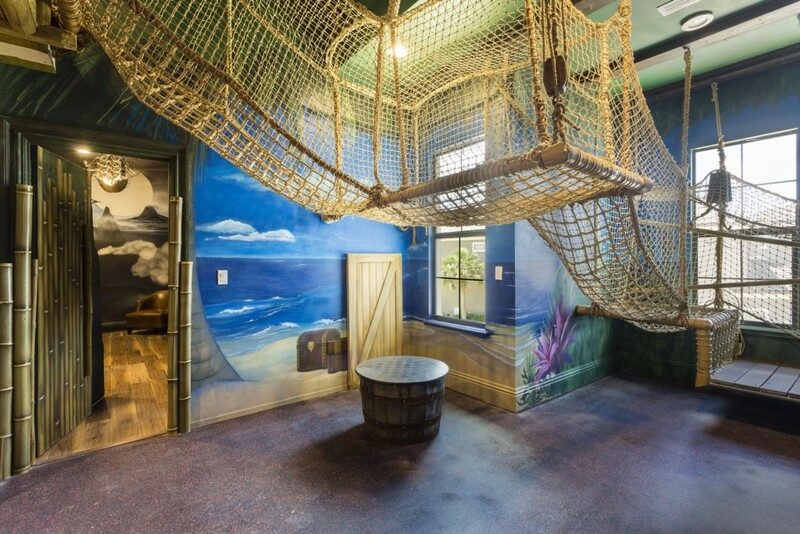 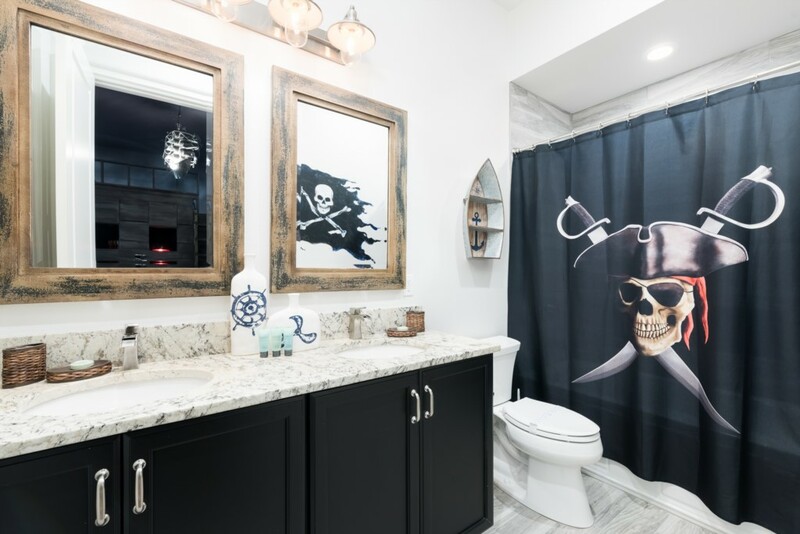 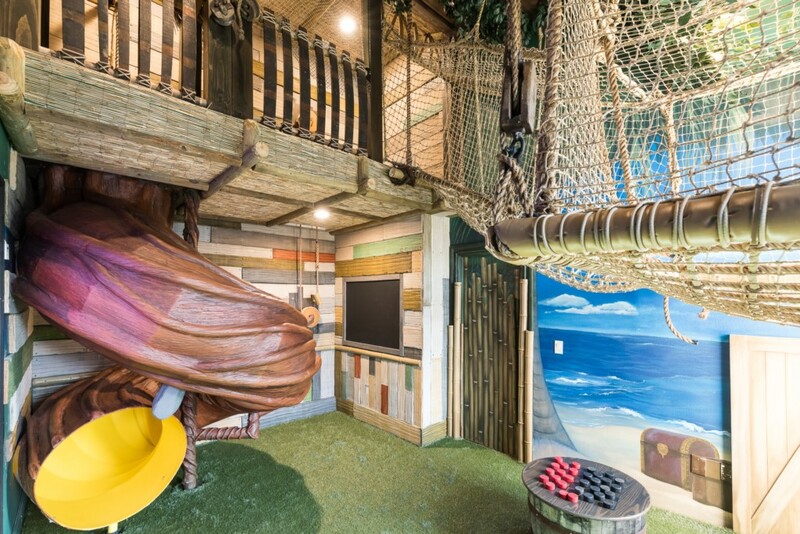 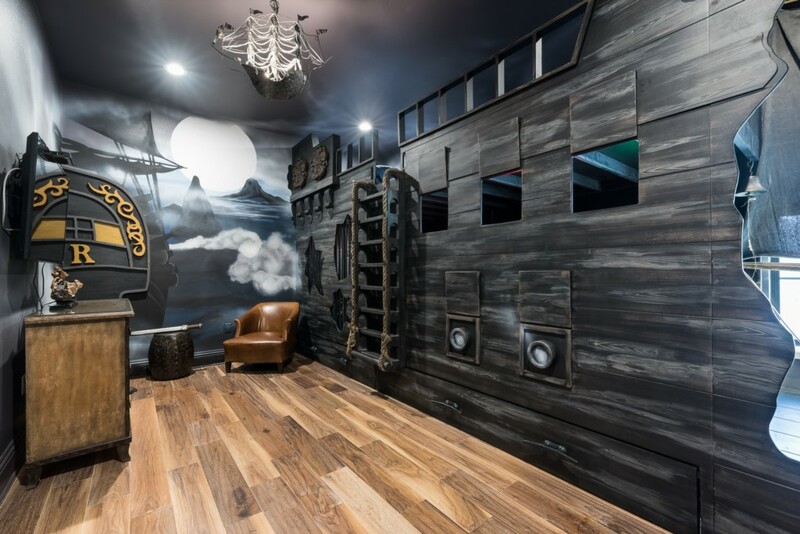 Pirate themed bunk bed room with 2x Full/Twin beds and an en suite (shower/bath combo) BONUS-A secret room with slides and ropeways links the pirate and Frozen rooms for adventure play!